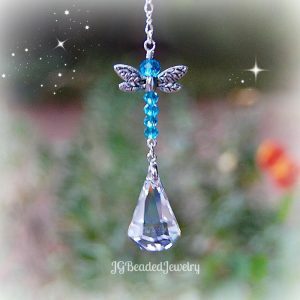 This golden topaz brown pearl crystal suncatcher is uniquely designed for a window at home, the office or wherever you choose! 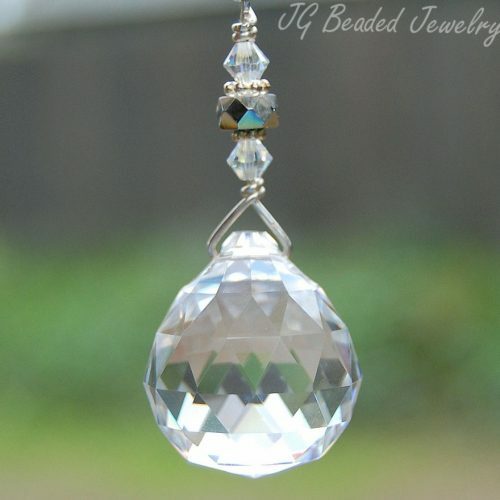 The suncatcher is crafted with a large 40mm faceted clear prism crystal ball and embellished with gorgeous Swarovski glass pearls, brown and golden topaz colored faceted crystal beads along with fancy silver metal beads. 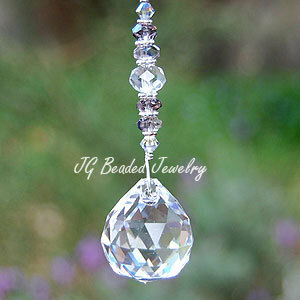 The total length is 10 inches and designed with silver chain that has a sturdy ring at the top for ease of hanging. 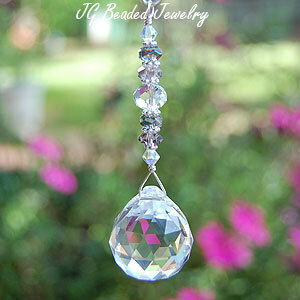 This prism crystal suncatcher is large/heavy and is NOT INTENDED FOR THE REARVIEW MIRROR.